The rise of North American oil supplies could test the future of OPEC which may have to curb supply to accommodate rising shale oil volumes, a new report has found. The increase in U.S. output is a “defining feature of tomorrow’s market” according to International Energy Agency’s oil market report and could test the producer group’s share of the global oil market . . .
“There is spare capacity in OPEC to the tune of about 3 million barrels a day which is about 3 percent of global demand,” said Jason Gammel, senior analyst at MacQuarie. Prince Alwaleed bin Talal says the Gulf Arab Kingdom needs to reduce its reliance on crude oil, because fracking technology under development in other nations will result in less dependency on obtaining energy resources in his homeland. Global demand for Saudi oil will experience further decline as the U.S. and other nations, including Great Britain and Canada, begin to find their own oil elsewhere. Bin Talal, who is worth the U.S. equivalent of $20 billion, published an open letter to his government on Twitter, aimed to get the attention of his country’s oil minister, Ali al Naimi, Sky News reports. He wrote the letter out of concern that the demand for oil from the Organisation of the Petroleum Exporting Countries (OPEC) is “in continuous decline,” and referred to the dangerous nature of Saudi Arabia’s dependence on the exportation of oil . . . The technologies of fracking and horizontal drilling, which the U.S. and Canada did not have access to a few years ago, are allowing them to find energy at home, saving money, and keeping them more independent . .
Kish stated that whenever a nation is dependent on another for an energy source, they are somewhat under the heel of that nation — something that plays a significant role in their economy. PITTSBURGH (AP) — The Kremlin is watching, European nations are rebelling, and some suspect Moscow is secretly bankrolling a campaign to derail the West’s strategic plans. It’s not some Cold War movie; it’s about the U.S. boom in natural gas drilling, and the political implications are enormous. Like falling dominoes, the drilling process called hydraulic fracturing, or fracking, is shaking up world energy markets from Washington to Moscow to Beijing. Some predict what was once unthinkable: that the U.S. won’t need to import natural gas in the near future, and that Russia could be the big loser . . . The issue has reached the highest levels of the Kremlin, too. To CONTINUE Reading at Yahoo…. It requires little imagination to connect the dots and see that the Russians own media companies throughout Europe that have pushed the anti-fracking message. It is likewise simple to recognize the KGB technique of funding environmental groups and draw a connection to the anti-fracking movement developing across Europe. Putin has been a vocal and powerful opponent of shale gas for years. But the strange politics of energy have managed to bring the greens into line with the OPEC-member United Arab on the issue of fracking . . . Very obviously, the UAE has an interest in slowing down the expansion of hydraulic fracking that has created an energy boom in the United States. A popular film—there’s even talk of it being an Oscar candidate—might give a boost to the opponents of fracking. Another response for OPEC nations (as we explained in detail in our book Secret Weapon) is to use the financial markets to keep the price of energy higher than supply/demand fundamentals would support. Goldman Sachs even admitted the mechanism last year by stating that a paper contract for one million barrels in the futures market would add about 10 cents to the price per barrel in the real world. Since OPEC produces 30 million barrels of oil a day, a 10 cent increase per barrel equates to $3 million A DAY in additional profits, far exceeding the cost of the futures contract. “The price of oil is rigged,” alleges author and former trader Raymond Learsy. Prices for most other commodities have dropped and there’s a bountiful supply, Learsy writes in an article for The Huffington Post. U.S. commercial crude inventories are near all-time highs, domestic oil production is about a million barrels a day higher than it was last year, weekly gasoline inventory is up substantially and Chinese demand is flat or down. So why has the price of oil increased 9.5 percent in the last month? Because of manipulation by speculative traders, Learsy argues. Liberated Iraq calls on Arab states to use oil as ‘weapon’ against U.S.
A top Iraqi diplomat urged Arab states to “use the weapon of oil” against the United States because of its alliance with Israel, raising more questions about the Middle Eastern nation’s allegiance to the country that freed it from a ruthless dictatorship. The shocking statement from a democratic government in power only after the U.S. and allies ousted murderous dictator Saddam Hussein in a costly and bloody war laid bare the Middle Eastern nation’s true allegiance. “Iraq will invite (Arab) ministers to use the weapon of oil, with the aim of asserting real pressure on the United States and whoever stands with Israel,” Qais al-Azzawy told reporters in Cairo on Friday. “The economic weapon is the strongest one to be put into effect now, to assure of standing by the Palestinian people, in light of there being no military power that can stand in the face of Israel at the present time,” he added. In addition to OPEC, there is one other group that wants to see America dependent on Middle East oil, radical Islamic Terrorists. They have repeatedly threatened to use the oil weapon. Now, we have another reality. Any terror threat can push oil prices higher and thus harm our economy (at least until we achieve energy independence). This has become obvious this past week in light of the most serious terrorist chatter since before 9/11. Even without conducting a terror attack, it became possible to manipulate our intelligence services and thus push up oil prices. Through al-Qaida in Yemen, which already knew it was under American surveillance, Ayman al-Zawahiri successfully managed to fool the Americans and carry out a media terror attack . . .
Al-Qaida operatives in Yemen do not need the green light from Zawahiri to carry out an attack. The Americans never took similar measures in the past in response to real terror attacks. The Americans panicked, providing Zawahiri an unnecessary Islamic victory. Thus Zawahiri — through al-Qaida in Yemen, which already knew it was under American surveillance — successfully managed to fool the Americans and carry out a media attack using one of the prophet Muhammad’s core tactics: instilling fear. U.S. intelligence officials say al-Qaeda appears to be planning an attack against unspecified targets, and U.S. embassies and consulates in 19 countries in the Middle East and Africa have been closed as a result. According to government officials, this is one of the most serious threats since 9/11. In my view, it is not prudent to be short oil at this time, as the embassies that have closed are in the richest oil-producing region in the world. If there is some sort of attack, whether in the United States or overseas, you could see crude bounce to $110 in a matter of minutes. So even though crude has become overheated from a fundamental standpoint, I have learned from my 20 years in these markets that when geopolitical issues come to bear, the crude oil fundamentals take a back seat. What this means is that Terrorists may have learned how to manipulate our Intelligence and media in a way that they could keep oil prices higher than they otherwise would have been. This is not to say that the terror threat isn’t real. It is simply an observation that the markets can be manipulated. 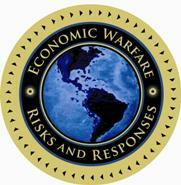 BOTTOM LINE: All of this is part of the ongoing global economic war we face. Next post: Terror as an Economic Weapon: Was UPS Airplane Targeted?